It's official! 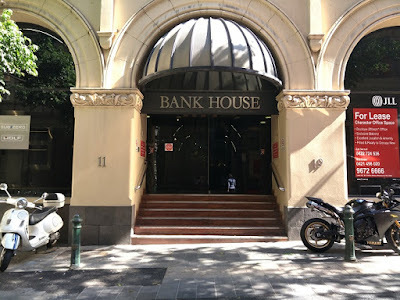 Foli Sim Scalp Micropigmentation has landed in the middle of Melbourne within the grand building, Bank House! This is our first base on the East coast, so we're super excited that we're growing and can offer men and women on the other side of Australia flawless scalp micropigmentation results with outstanding customer service. Foli Sim is a family owned hair loss clinic specialising in scalp micropigmentation and feather touch microblading. This boutique clinic evolved from Medical Hair Restoration Australia and prides itself on having highly qualified practitioners, modern equipment and producing outstanding customer results. Scalp micropigmentation (SMP) is a natural looking, non-invasive treatment for men and women affected with hair loss. SMP can give you the appearance of greater thickness and natural looking density by using specially designed equipment to apply tiny dots of pigment to the scalp. When delivered by a skilled practitioner, these tiny dots of pigments replicate the natural hair follicles making SMP a great way to restore receded hairlines, cover thinning / bald patches and camouflage scalp scars. Foli Sim has clinics in Melbourne and Perth. To find out more call 1300 668 490 or complete an online enquiry. Consultations are free of charge and there is no obligation.